An arbitrary group action on an algebra R results in an ideal r of R. This ideal r fits into the classical radical theory, and will be called the radical of the group action. If R is a noetherian algebra with finite GK-dimension and G is a finite group, then the difference between the GK-dimensions of R and that of R/r is called the pertinency of the group action. We provide some methods to find elements of the radical, which helps to calculate the pertinency of some special group actions. The r-adic local cohomology of R is related to the singularities of the invariant subalgebra RG. 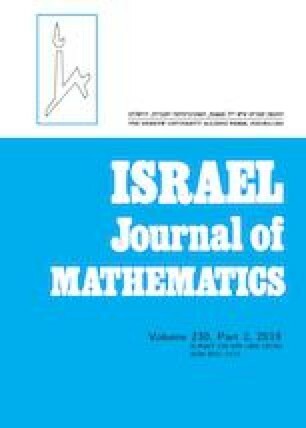 We establish an equivalence between the quotient category of the invariant subalgebra RG and that of the skew group ring R * G through the torsion theory associated to the radical r. With the help of the equivalence, we show that the invariant subalgebra RG will inherit certain a Cohen–Macaulay property from R.